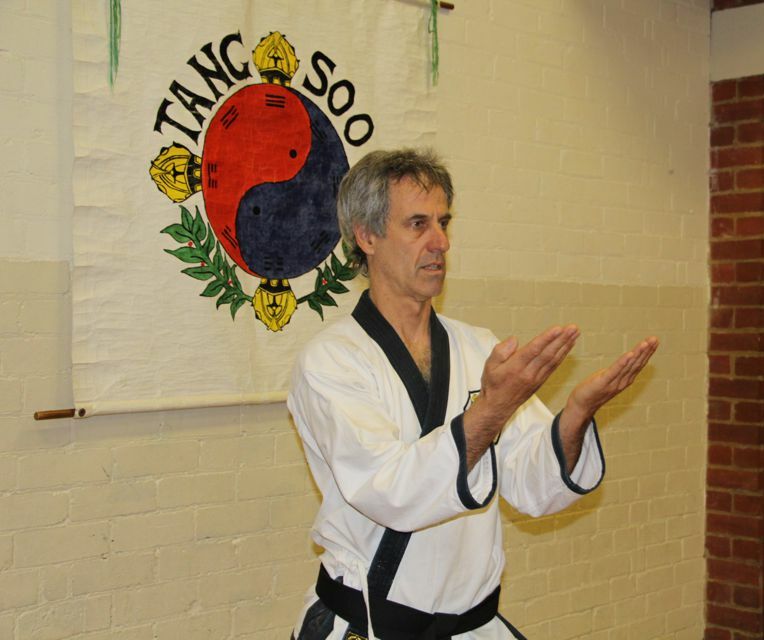 Master Jeff Young is a 4th Dan Black Belt and one of the senior instructors in the Melbourne School. With 19 years’ experience, he specialises in helping adult students get the most out of their training and themselves. Commencing training at the mature age of 38, due to his son’s interest in learning martial arts, Tang Soo Tao has become a central influence in his life. The director of a family therapy centre with 40 staff, he attributes Tang Soo Tao, Yoga and Qi Gong for helping him manage the stressors of his professional work. Master Young attributes his senior instructors with helping him realise how martial art’s training gives students the personal strength and confidence to stand up against injustice. Whether it is learning to face one’s own fears or facilitating students to move better, helping students overcome training barriers or other life challenges, he feels teaching Tang Soo has greatly enriched his life. Master Young believes that whilst Tang Soo will probably make you a better fighter, it will certainly make you a better person – it’s a good friend to have by your side as you face the challenges of everyday life.